I have been turning my illustrations into cards. I often make my own cards. 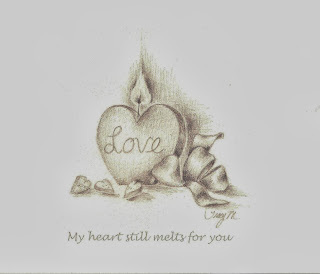 I usually buy the pre-made cards and create a drawing to suit the need (sympathy, anniversary, thank you, etc). But that requires having some time to sit and do the illustration for each individual card. So recently I decided to take the illustrations that I already have and print them on cardstock to have custom cards when I need them. I was so pleased with how the little cards turned out that I decided to print a few and put them in my Etsy shop. I do a lot of sketching while watching TV, waiting at appointments and times when I would otherwise be just sitting, I use the drawings to create my cards. They are soft and pretty on their own but I also add glitter because everything becomes more special when it sparkles. I don't want to compete or coverup the illustration so most of the cards have a few small areas of glitter. For some of the cards I give the customer the option of having glitter or no glitter. 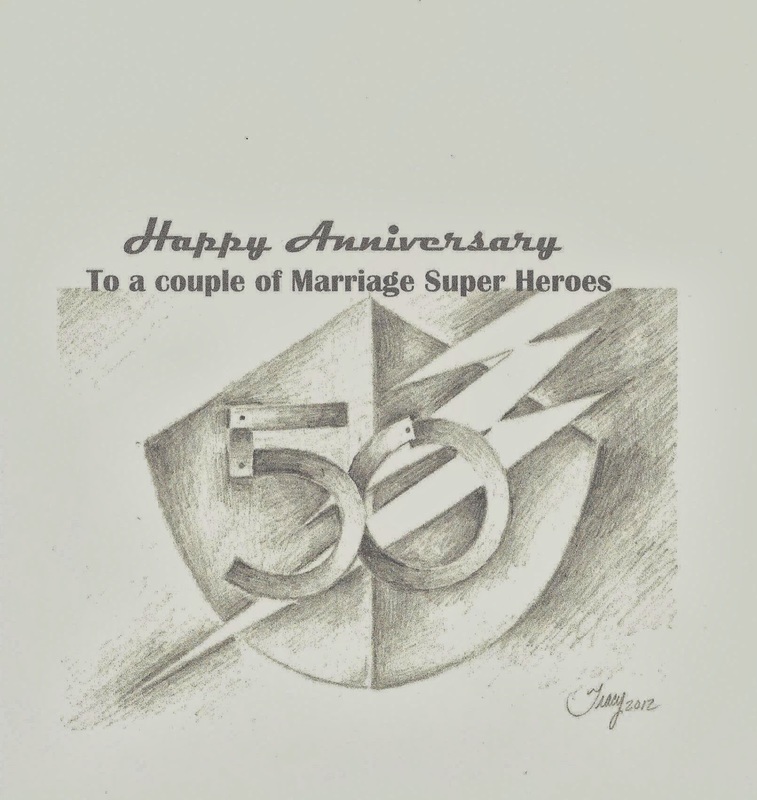 This illustration turned out to be a great "Love" card. Its good for Valentine's Day, Anniversary, or even a Sweetheart's birthday. This one was a hand done card that I did for a 50th Anniversary. 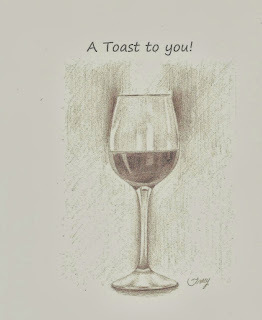 I decided to make this illustration a "Congrats" type card. I decided to leave the inside of the cards blank so the sender can put in their own message. They can write a note or just a simple sentiment like for the wine glass a Congrats! and their signature. When purchased, each card will come with a few suggestions for an appropriate quick message inside, for those that struggle with words. Many times my illustrations decide for themselves what type of card they will become. 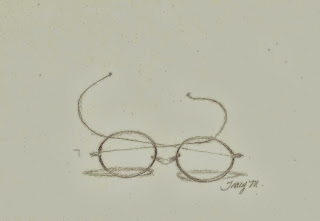 I draw what I feel at the moment and it seems to have its own message emerge, I just add the words that fit. 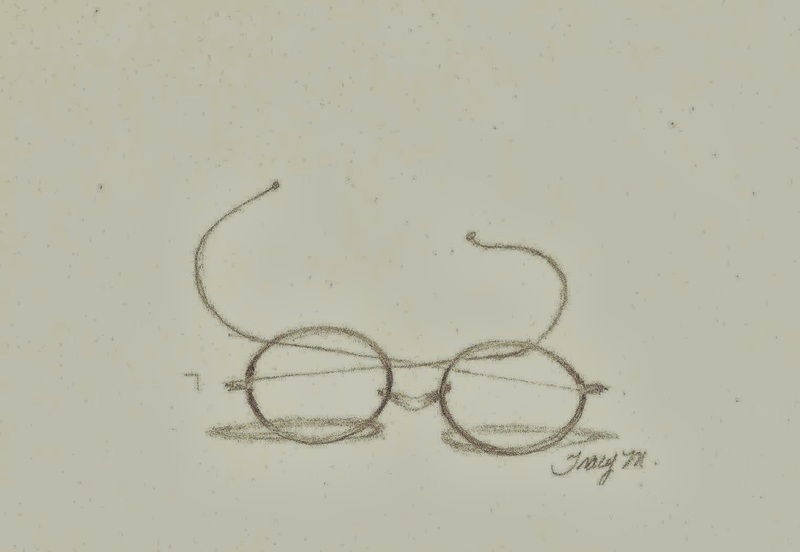 This illustration of antique glasses seemed perfect in their simplicity so I left this one without words. It makes a great note card.